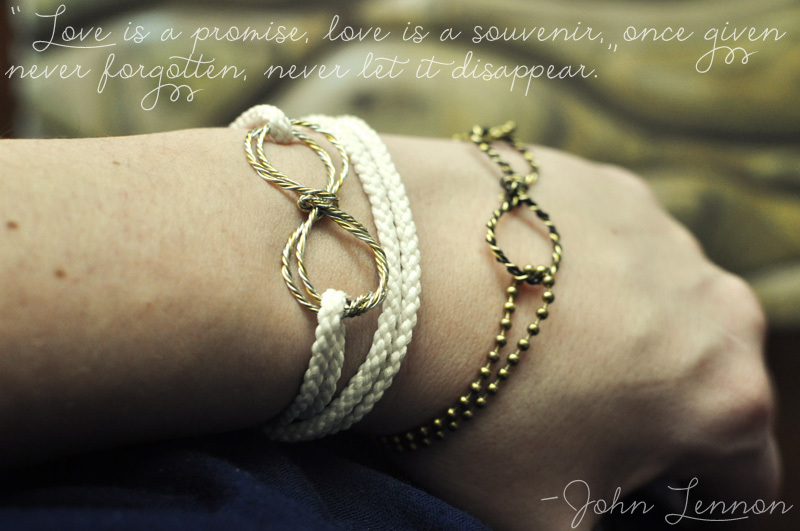 An endless knot, representing eternity or infinity, is worn as a symbol of devotion and undying love. In celebration of Valentines Day, I wanted to show my love for you, my reader. I'm happy to have you in my life. For this wrapped slide Eternity Bracelet, you'll need a few supplies, and about 30 minutes. Instructions after the jump! Very few supplies are required to create this bracelet. However, you will learn two useful skills that will come in use if you enjoy accessory diy's. 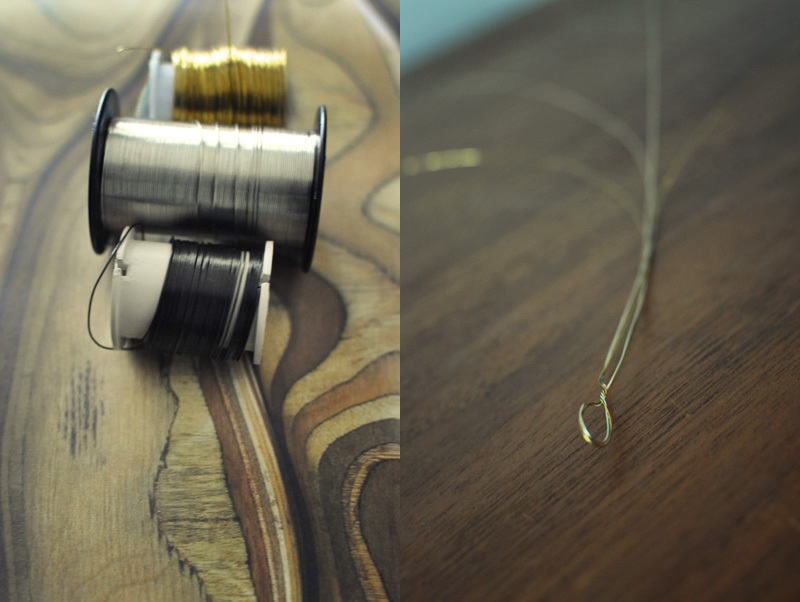 The first trick allows you to create a decorative twisted length of wire from two or more strands. There are several tricks for twisting wire evenly. The method I use is to hook the loop on an immovable object, something that will hold the loop still while you are twisting the wire tightly. If you have a vice or clamp - that's even better. Once your wire is secure on the loop end, take two strands in each hand (one of each color) and twist them loosely all the way to the end. This will be about 15 twists. 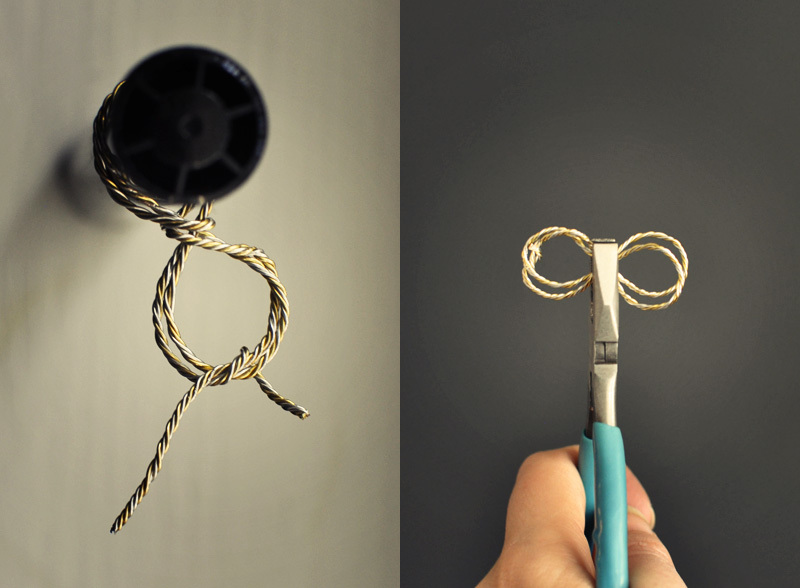 Take your small pliers and grip the end of the twist, capturing all 4 wires firmly. Begin to twist. This will take a little patience. The more you twist, the more even and tight the plait will be. Once you have achieved a nice even twist, use the wire cutters on your pliers (or some wire snips) to cut off the ends. 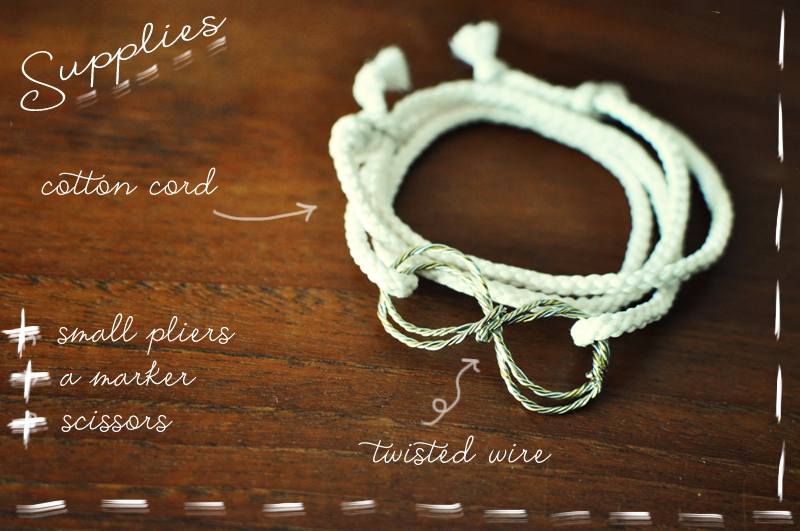 You will now have a nice piece of twisted wire to form into an endless knot. To diminish sharp tips, fold and crimp the ends of the wire or smooth them with a metal file. The basic shape you are looking to achieve for the eternity symbol is a figure 8. I used a marker as the form for the curves of the symbol. Create an 8 once, then as you pass the second time, loop around the middle of the 8. This will keep your knot secure. Twist the wires to the back of the shape so the loose ends meet, and twist tightly. Cut, fold and crimp them against the rest of the work so you will be safe from scratches. 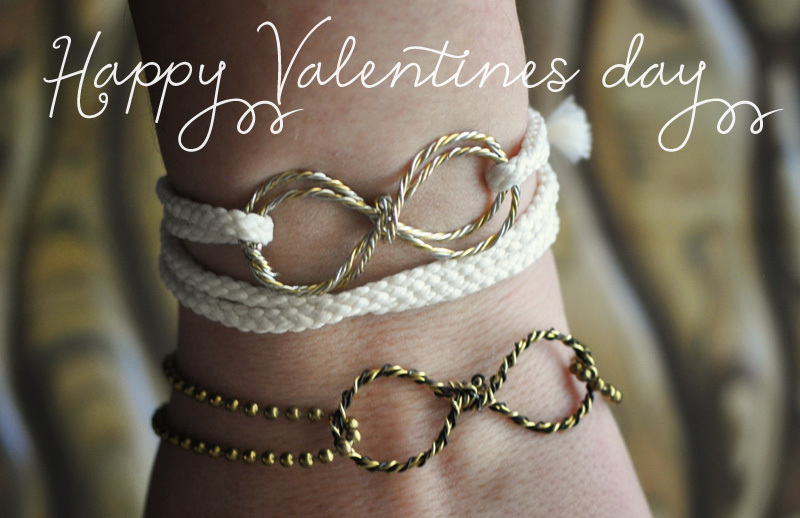 Now that your eternity symbol has been created, all you need is a simple knotting technique which will make a sliding, adjustable rope bracelet. 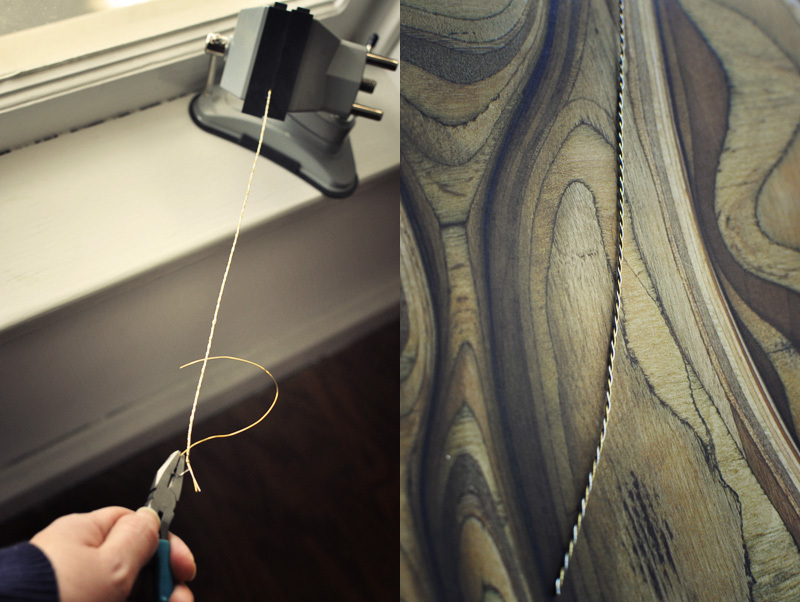 This is a useful trick that allows you to create fitted bracelets from a length of cording. If you'd like to see how this is done, this video tutorial is a good one. The bracelet I created wraps three times. Cotton cord like this can be purchased in a variety of colors and sizes at most fabric stores, and is usually sold by length. 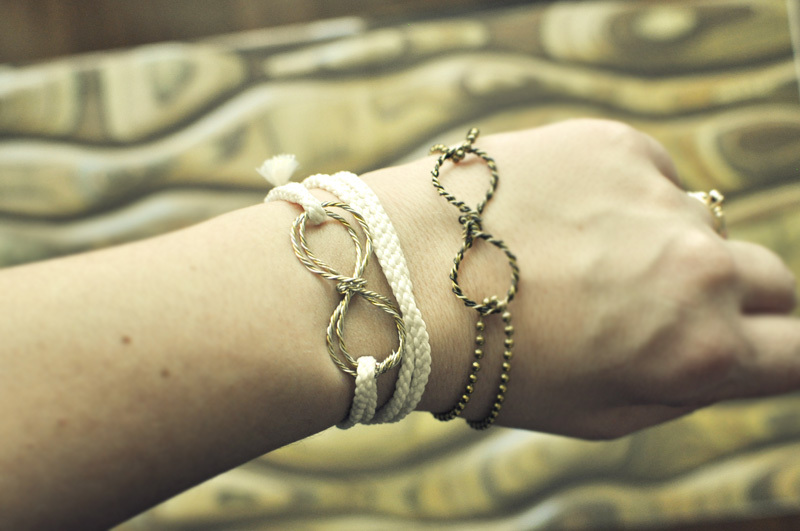 I hope you enjoyed this Lune tutorial on how to create an Eternity Bracelet. Make one for yourself to remind you of your devotion for someone or something you love. Create one for a friend to show how much you appreciate the goodness they bring into your life. Thank you for reading Lune! Please let me know if you like this tutorial. Email me a photo if you try it out - it's my favorite kind of mail to receive.